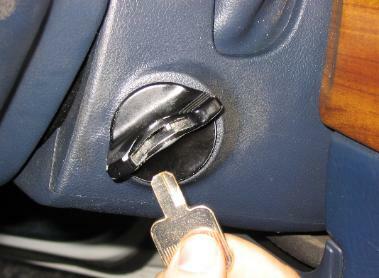 We can extract a broken key from your ignition. Losing your car keys, breaking a key off in your ignition, losing your remote fob, or locking your keys in your car, van or truck can quickly turn into a stressful situation. Fortunately, Black Hawk Lock & Key’s mobile locksmith service can come to you any time day or night to help you get back on the road. Our professional, certified, and insured auto locksmiths can service any make or model vehicle. From car key replacement to door and ignition lock repair, we can meet all of your car locksmith needs at the time and place that suits your schedule. Our mobile locksmith services are affordable and we always provide upfront estimates for all of our services. Our registered mobile locksmiths have the know-how to work on any make or model vehicle. You can trust their knowledge and experience when it comes to all of our locksmith services. Black Hawk Lock & Key offers top-notch duplication and repair services. We work with outstanding brands known for their high-quality manufacturing. Some of our product offerings include Schlage, Marks USA, Alarm Lock, Arrow, and GMS. In addition, Black Hawk Lock & Key are members of Fair Trade Locksmith Directory and 1-800-Unlocks. If you are looking for a professional registered locksmith Please give us a call or drop us an email. Don’t trust your auto locksmith needs to a non-professional that may inadvertently do damage to your vehicle or provide you with inferior service. We pride ourself on our superior team of professionals and we guarantee all our work.